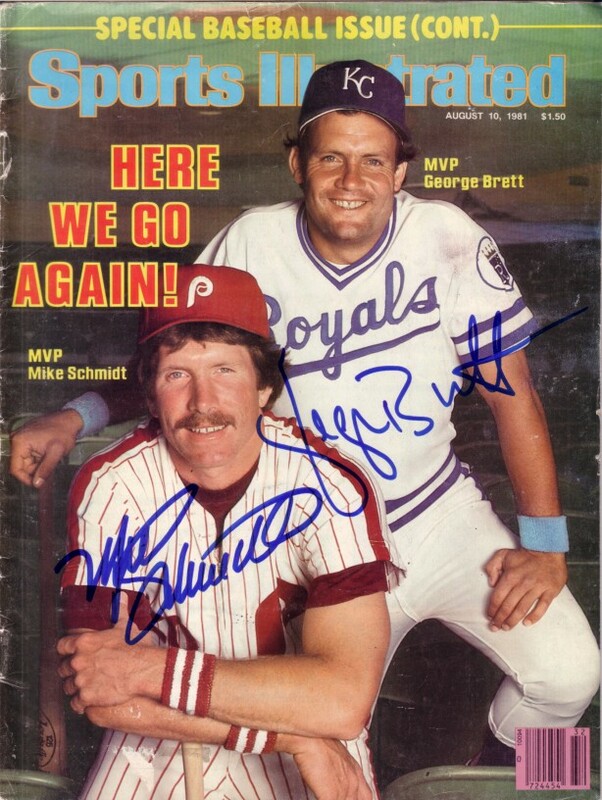 Complete 1981 Sports Illustrated magazine autographed on the cover by Hall of Famers George Brett and Mike Schmidt, two of the greatest third basemen in MLB history. Magazine has moderate to heavy wear. With certificate of authenticity from AutographsForSale.com. ONLY ONE AVAILABLE FOR SALE.